MacGregor, part of Cargotec, and ESL Shipping Oy, part of Aspo Plc, have agreed to jointly develop and test an autonomous discharging feature on MacGregor bulk handling cranes. It is designed to offer safety and efficiency advances. 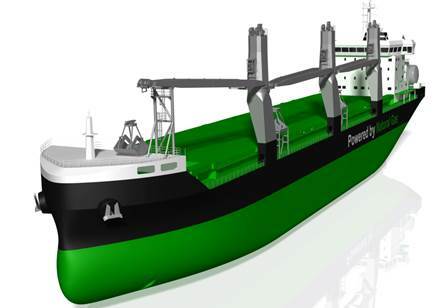 The cranes will be fitted on board ESL Shipping’s two new liquefied natural gas-powered handysize bulk carriers. “Our new environmental friendly LNG fuelled ships will be operated in very demanding trade with high number of voyages, port calls and crane operation hours annually. Autonomous operation will further increase our competitiveness and offer our clients unforeseen efficiency and safety,” says Mikki Koskinen, Managing Director at ESL Shipping Oy. The vessels are planned to enter service during the second quarter of 2018, when automation testing will commence.